The Falcons last loss two games in a row on 2/28/14. That streak is still alive for the Brown and Orange as they rebounded for a 3-2 win over the Michigan Tech Huskies. Tommy Burke started in net for Bowling Green. Jamie Phillips countered for the Huskies. The first period, like Friday’s game, saw no scoring and stout goalie play on each side. Phillips stopped all ten shots he faced while Burke was busier, making 16 saves. Connor Kucera got the Falcons their first goal at 7:29 of the second period. Adam Berkle fed the puck to Kucera who skated across the slot to the near face-off circle. He let loose a wrist shot that slid underneath Phillips pads for Kucera’s first goal of the year. The Falcon’s scored their second goal of the game on a 2-on-1 rush while in a four-on-four. Mark Cooper skated down the slot and backhanded a pass right to Brandon Hawkins tape. Hawkins shot the puck just above Phillips pad and found net at 9:04. Bowling Green scored their third goal just twenty seconds later. Mark Friedman fired a bad angle shot from the boards at Phillips. The goalie made the stop but a rebound fell to Pierre-Luc Mercier who had a wide open net. After giving up his third goal Jamie Phillips was pulled for Matt Wintjes. Phillips stopped five of eight chances in the second and his night ended with 15 saves on 18 shots. Michigan Tech scored their first goal at 12:30 of the second frame. Malcolm Gould puck handled and wristed a shot on Burke. The Falcon net minder made a kick save but Blake Pietila was waiting on the doorstop and scored his seventh goal of the season. The Huskies scored their second goal at 17:32 of the second period. Blake Pietila fired a hard shot from a bad angle and went through Burke’s five hole for Pietila’s second goal of the game. Tommy Burke made 12 saves of 14 Husky chances in the second period. Wintjes stopped all six chances he faced in the period in relief. Neither team was able to gain footing in the third period and skated most of the final frame through the neutral zone. However, a late borderline call put the game in question. Sean Walker committed a five minute major for interference with just 3:15 left in the game. However, the Falcons second best penalty kill held on and gave the Falcon’s the 3-2 win. 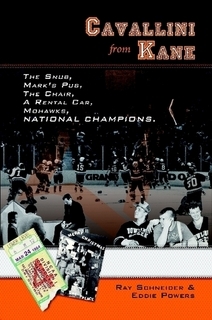 The Falcons only challenged Wintjes four times in the third period while Burke stopped all ten Husky shots he faced. Burked finished with 38 saves on 40 attempts for Bowling Green while Matt Wintjes was perfect in his relief role, stopping the 10 shots he faced. Jamie Phillips stopped 15 of 18 attempts in the losing effort. 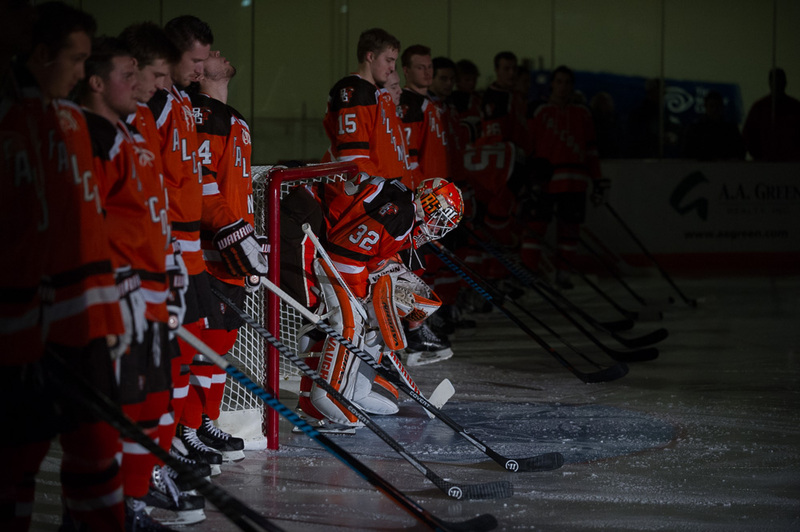 The Falcons (14-4-4, 10-2-2) will return home next weekend to welcome the Lake Superior Lakers to the BGSU Ice Arena. The Huskies fall to 16-7-1, 11-4-1 and will face the Alaska Nanooks at home next weekend.